We are pleased to bring you what we hope will be the first of many newsletters to keep you informed of what's happening, what's coming up and what issues are top of mind around Kuaotunu. We hope you find it useful! 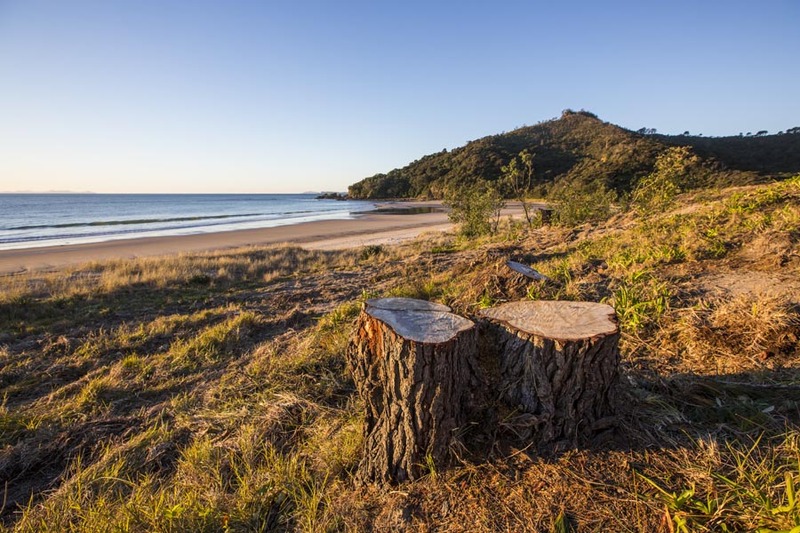 Kuaotunu Residents and Ratepayers Association (KRRA) is working on developing a website, to be called the Kuaotunu Hub, which we hope will become the online home for everything connected with Kuaotunu. Whether you want to find a plumber, join a group, or get to know more about your fellow Ktown'ers - we hope that the Kuaotunu Hub will become your first port of call. Please note that the Hub website will complement, not replace, the existing Kuaotunu Katchup Facebook page. We will let you know when it's live - we're hoping to launch the site in November. In the meantime, if you feel that you could contribute to the development or running of the Kuaotunu Hub in any way, or would like to register your interest in listing your business on the Hub, please feel free to get in touch. For those of you who are absentee ratepayers, we're pleased to announce that another portion of the footpath from Kuaotunu West to the Kuaotunu Village has finally been built. A further, more technically challenging section is expected to be built by NZTA sometime in the next 12-18 months. It has been suggested that a petanque court could be a useful addition to our community, and so we have been looking into what would be involved. The first thing we need to decide is where to put it. Current suggestions include across the road from Luke's Kitchen, possibly near the school bus stop, or alternatively next to the soccer field and tennis courts. Let us know what you think! 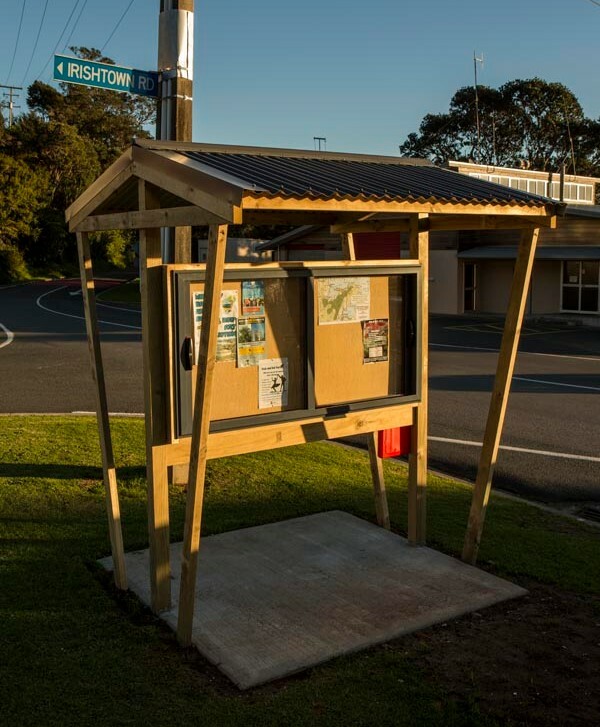 A new notice board has been installed on the corner of Irishtown Rd (between the Kuaotunu Hall and the Kuaotunu Store). A plastic dropbox has been attached to this, so if you have a community notice that you'd like to be displayed, please put your notice into this box and our KRRA notice board manager, Kate Nielsen, will put it up for you. Some residents have been considerably dismayed by the recent removal of the trees on the reserve at the bridge end of Kuaotunu. KRRA committee members have since received feedback about the perceived lack of consultation and transparency over this decision. We also feel that TCDC's communication with our committee could have been better and taken place much earlier as we were given very little time to consult with our community. Use electronic technology (such as this newsletter) to keep you informed and to get your feedback quickly, when required. To do this, we need you to stay subscribed to this newsletter!! (If you have been forwarded this newsletter and would like to have your own subscription, you can join our mailing list here). After a lengthy period during which the navigation light was not working, we are pleased to advise that this has now been rectified. Unfortunately the replacement light was dimmer than the original, but this has now also been rectified. Please note that the Harbour Master has changed the flash pattern to Morse Code 'A' continuous. He has requested feedback on these changes and also any other suggestions for improvement to the boat ramp. If you would like to give feedback please do so here and we will pass it on to him. Another major concern with the boat ramp is the increasing number of campervans who are using the ramp's parking area as an overnight stop. We are trying to come up with ways to alleviate this, but as the boat ramp is controlled by NZTA and not TCDC, this is not easy to achieve. One idea is to find another parking spot for the campervans. Again if you have a good idea about this, please let us know! At the KRRA public meeting in January this year it was decided to continue with a library facility for the community. A steering committee was established and is investigating options for buildings and sites. The committee has visited other libraries for ideas, and met with TCDC to ascertain what the requirements would be. Feedback is currently awaited from TCDC planners as to the possible options for placing a new or existing building. Naturally a project of this nature will involve some cost, and the steering committee is investigating what grants could assist with this project. To kick off the fundraising the Kuaotunu Volunteer Fire Force has generously offered to share the proceeds of a Rock'n'Roll party being held at the Whitianga Town Hall on the 12th of August. So please support your community, roll up your jeans, get out those groovy dresses or pedal pushers, find the Bryl cream and get ready to rock! For further information please phone Dugald (027 493 2691) or Maxine (027 293 0369). 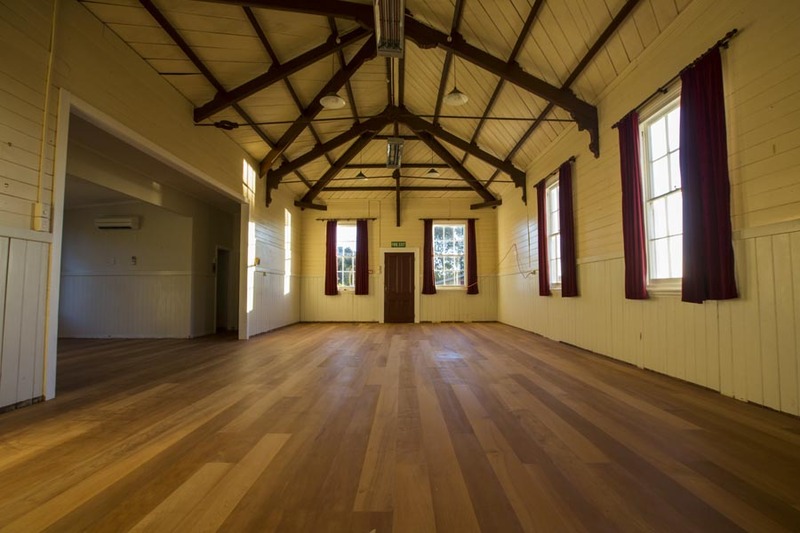 The Kuaotunu Hall Committee is thrilled to announce that our beloved hall now has a much-needed new floor (and much sounder foundations). We would like to acknowledge our deep gratitude to TCDC and Pub Charity Ltd, without whose financial support we could not have achieved this project. We'd also like to acknowledge the superb job done by Sayers Construction Ltd - they really have gone the extra mile for us. Unfortunately there has been one major hitch, which is that the new wood has not dried fast enough to enable the polyurethane to be applied. So the hall will not be re-opened until mid-September, after which we are planning a celebration event - watch this space! In the meantime we have taken the opportunity to extend the flooring insulation under the floor on the kitchen-side of the building, which was not part of the original project. Locals will have also spotted the new ramp (hard to miss, really). Unfortunately health & safety regulations dictated the length of this, but we are hoping to soften the effect with plantings. It has been noticed that the gabion baskets to the west of the boat ramp on SH25 are experiencing some erosion issues, and some undercutting of the highway is also occurring. Both TCDC and LTNZ have been contacted about this, and they have assigned Broadspectrum to investigate. Join KRRA today to have your say on matters affecting your community. Please rest assured that we always welcome feedback from any member of the community, KRRA member or not. But when it comes to a vote on a formal resolution, you need to belong to KRRA to have your vote counted. Join today!